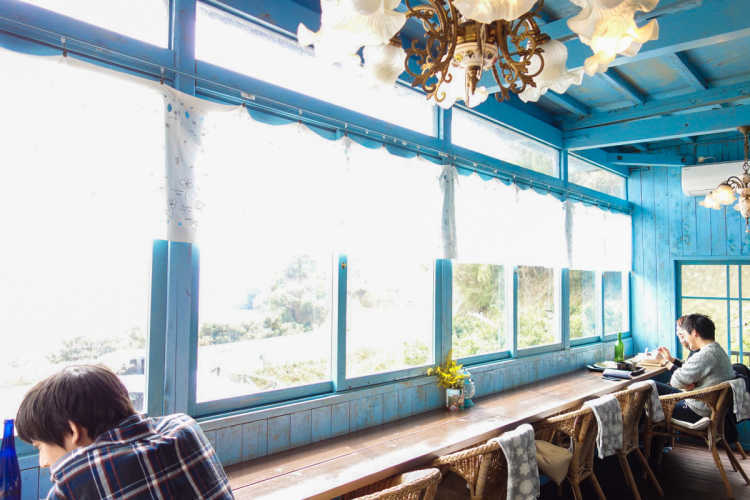 Like a sunroom, it has pretty wooden walls and tables painted in blue. Customers wrapped in this pale blue, talk in lower voice naturally and seem to make themselves at home. The counter seats are special because you can enjoy your holiday while looking over the sea from here. Their dishes of the island's foodstuffs are all delicious. 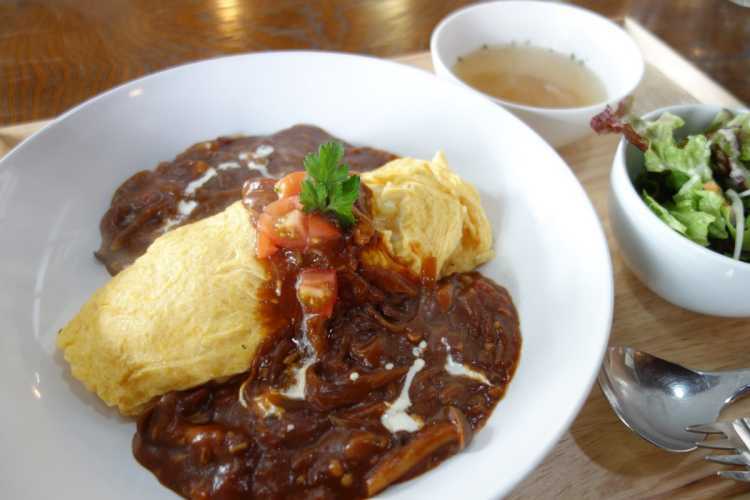 Under the fluffy omelet, beautiful colored mikan pilaf! That's only here in Ehime, a mikan (Japanese orange) producing center. I was surprised that the orange-rice and demiglace sauce are suited to each other very much! Such as desserts made from the island's lemon, they prepare the line-up you enjoy Oshima-island.